This video is a little off-topic from our typical subject matter. 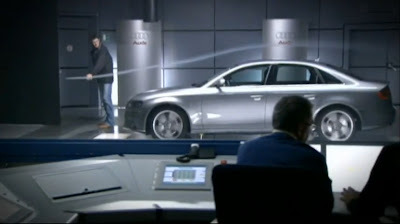 However, the video is made by Audi and demonstrates various points regarding aerodynamics. Specifically, how planes fly and how cars stay planted on the ground. To work in the Audi brand, the video shows the aerodynamic prowess of the new A4 along with the R15 race car. I'm a bit of a nerd when it comes to this type of stuff, so I really enjoyed it. If you're looking for a 10 minute explanation of aerodynamics with plenty of Audi goodies, check it out.